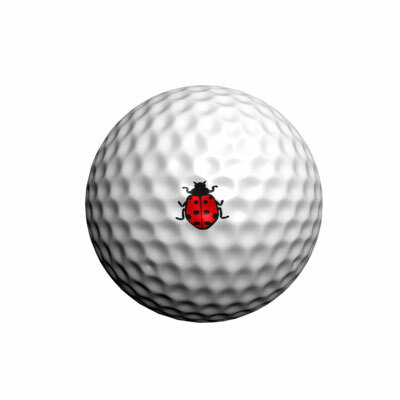 The ladybug, or ladybird (depending on where you play) is a symbol of good luck and also protection. 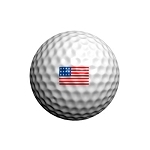 On the ball, they just look super cute. 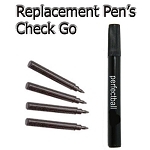 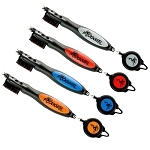 Applies in Seconds Highly Durable No Messy Markers! Golfdotz are a new generation transfer that simply bond with the skin of the ball when firm pressure from your thumb is applied. In 5 seconds or less you are ready to play! 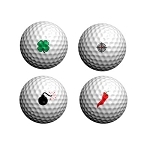 Designed and tested by golf enthusiasts tired of the same old methods, Golfdotz is a new and unique product for serious and casual golfers alike. 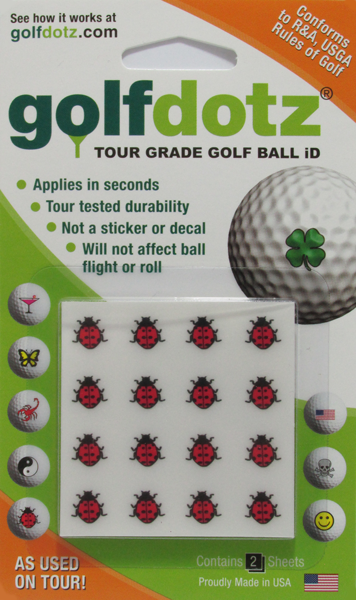 Golfdotz provide a great alternative to outdated ball marking methods such as using a messy sharpie marker or even messier ink ball stampers. How do I use Golfdotz?